You can be charged with petty theft if you take something that doesn’t belong to you with a value of $2,000 or less. Whether you meant to take it or not is something we can argue in court, but you will have to face these charges regardless. Ronald S. Clement Attorney At Law has been providing principled criminal defense for people accused of shoplifting and petty theft for many decades and we are eager to defend your rights. Shoplifting applies to commercial establishments, such as a clothing store, restaurant, or any other venue where goods are available for purchase. Petty theft applies to all items, even ones not for sale and owned by someone else. Both are considered misdemeanors if the value of the property stolen equals $2,000 or less. Your first petty theft charge is punishable by up to 30 days in county jail and a $1,000 fine. Shoplifting is a civil violation in addition to a criminal offense. If you are convicted of shoplifting, you may be liable to the store owner for the retail price of the merchandise, if the goods are not recovered in a saleable condition, up to a maximum of $1,500. Furthermore, you could be forced to pay restitution to the store owner in an amount not exceeding the greater of three times the retail price of the merchandise or $150, up to a maximum of $500. These fines are in addition to the petty theft fine and the potential for a 30-day jail sentence. 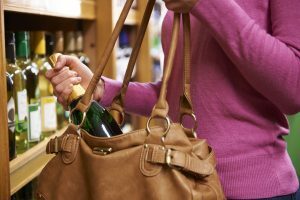 As evidenced above, a shoplifting or petty theft charge can certainly cost you. Our legal team possesses over 45 years’ combined experience defending clients against these charges and offers you the best chance for a positive outcome in court. We provide a nonjudgmental environment for you to safely discuss the details of your case and will use every resource and strategy we have to keep your record clean. Ronald S. Clement Attorney At Law protects the rights of Upstate clients facing shoplifting and petty theft charges. If you are in need of effective criminal defense, contact our Greenville office today at (864) 233-6225.